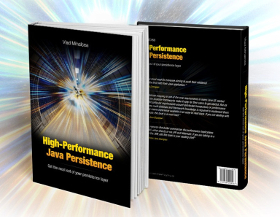 100% done The third part of High-Performance Java Persistence book is out. It’s been one year and two months since I started writing this book, and nine months since I published the first part. 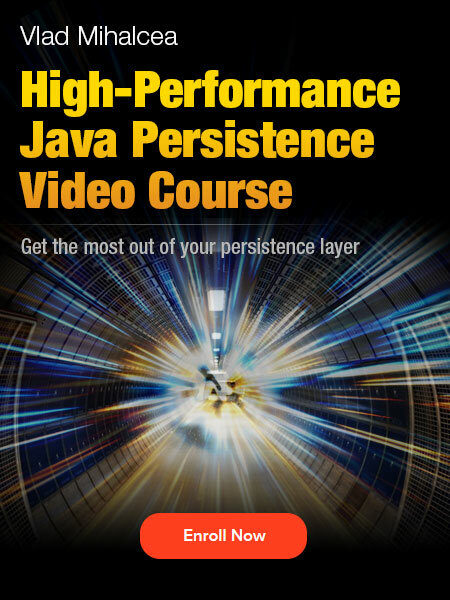 The survey Java Persistence API is a standard. 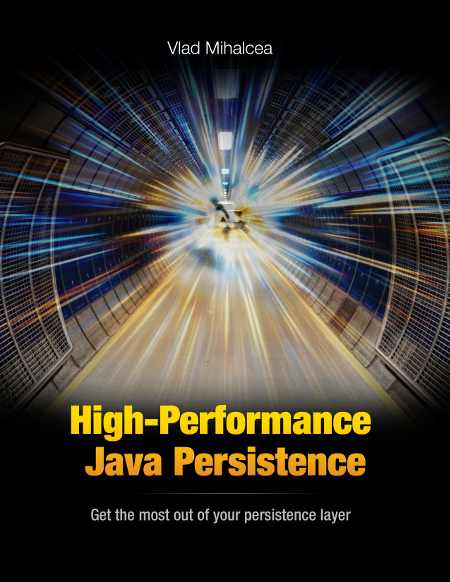 Hence, there are multiple options to choose from: Hibernate EclipseLink OpenJPA Some applications choose not to use an ORM framework at all. For this reason, I decided to run a one-day survey on Twitter to get a glimpse on the JPA providers market share. 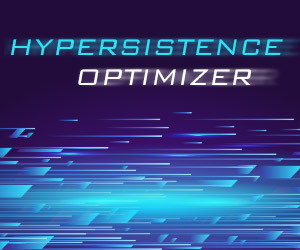 Introduction The JHipster development team wants to expose Fluent Interface entity building methods for their JPA entities, so they asked me if this is going to work with JPA and Hibernate. 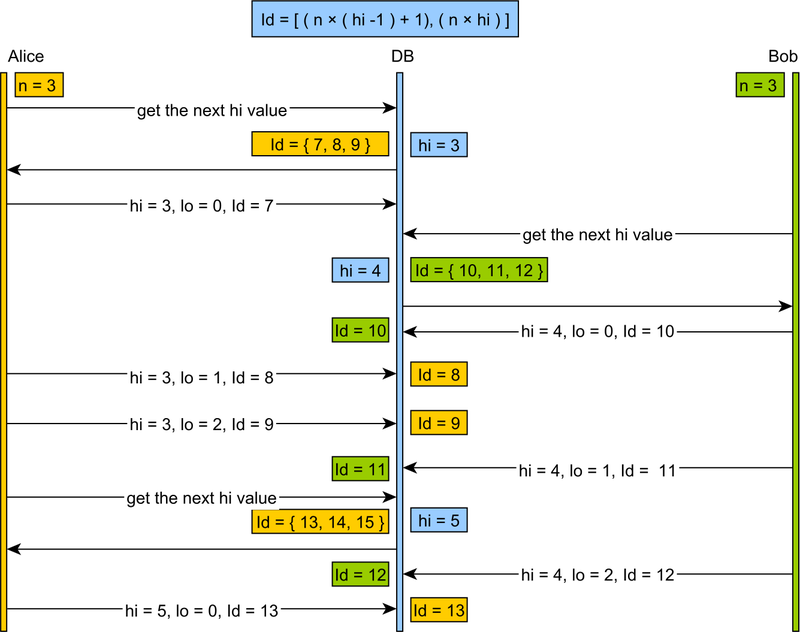 While JPA is rather strict about entity getters and setter, Hibernate is more lenient in this regard. 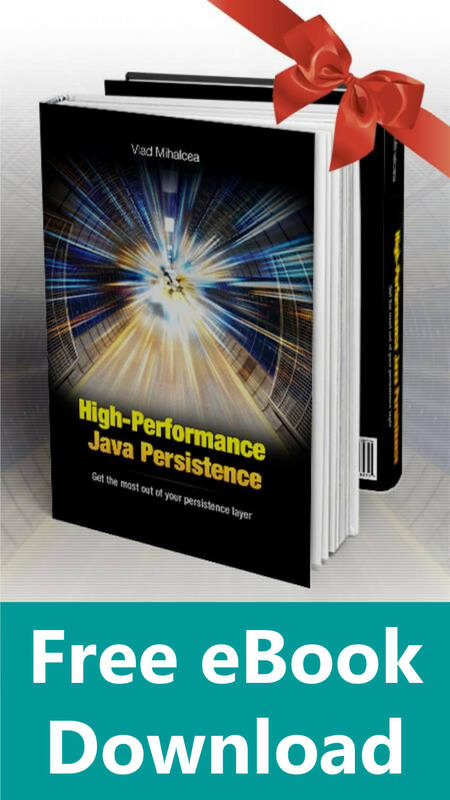 Introduction One of my readers asked me to help him map a Composite Primary Key using JPA and Hibernate. 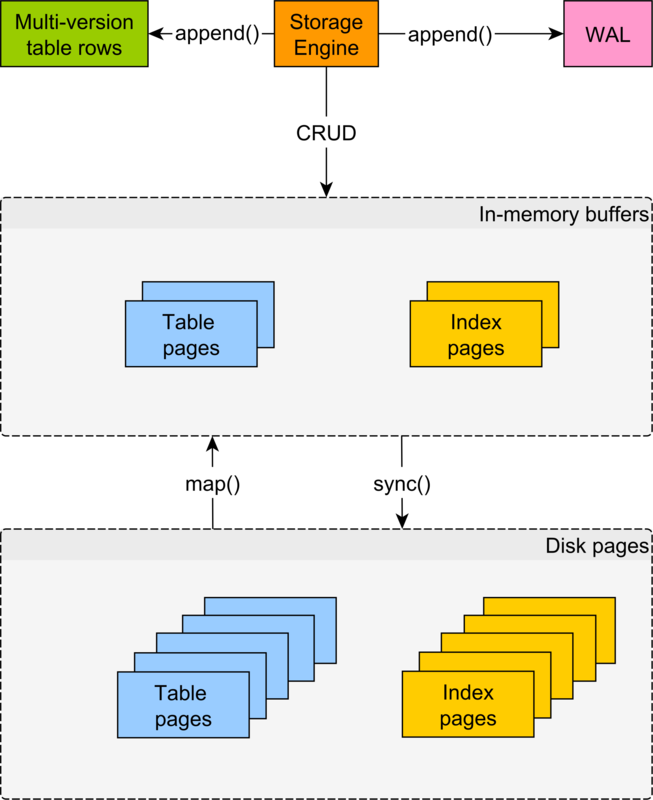 Because this is a recurrent question, I decided to write a blog post in which I describe this mapping is more detail.